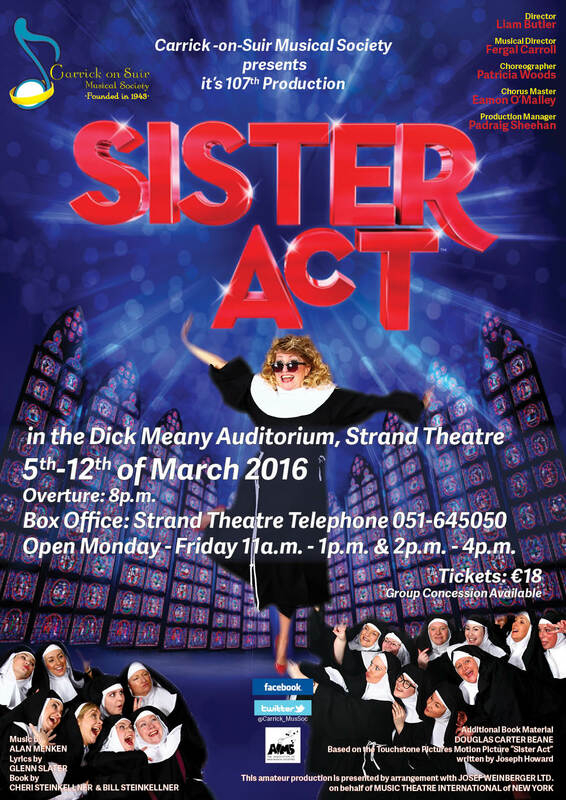 Carrick-on-Suir Musical Society proudly presents the Divine Musical Comedy SISTER ACT from 5th to 12th March 2016. Booking opens 15th February at 11am. Don’t miss out….it’s sure to sell out!